Super Clean, Low Miles, Reliable 2015 Chevrolet Silverado LT is a vehicle you DO NOT want to miss out on! It has many different features like Back Up Camera, Bluetooth, Steering Wheel Mounted Controls, Towing Preparation Package, Keyless Entry, Remote Ignition, Aux Audio Jack, and much more! Come by and visit us today! While you're here don't forget to schedule yourself a test drive with this awesome truck! Our goal is to get you in the car you love. We want your car buying experience to be easy and enjoyable! So come on by today, We would love to help you! For more information on the vehicle you are interested in contact our office via phone or email... Thank you for your business! 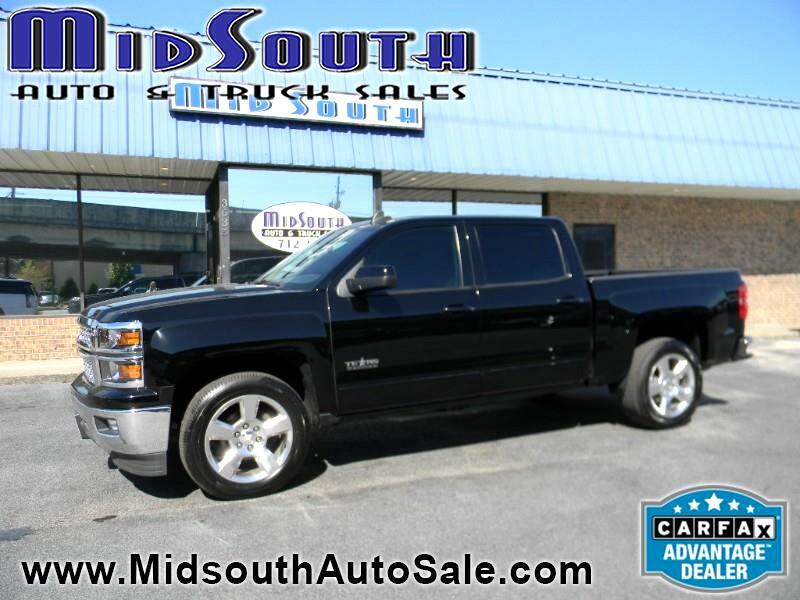 Visit Midsouth Auto & Truck Sales online at www.midsouthautosale.com to see more pictures of this vehicle or call us today to schedule your test drive. MidSouth Auto & Trucks Sales is a CARFAX Advantage Dealer that Carfax certifies every vehicle in our inventory. So ask for your Free Carfax report today.